A new Professional Certificate in Innovation and Technology is now open for applications for the summer 2016 semester. Offered by MIT Professional Education, the certificate program includes a variety of topics covering different approaches to innovation. The program is designed for working professionals across a wide variety of industries where innovation is key, including engineering. Participants will have the opportunity to tailor their learning experience based on their industry, background and areas of interest. Course topics emphasize innovation strategies from theory to implementation and experience-based knowledge from the front lines of global innovation. These courses can offer a base of understanding for innovation and technology that will long outlast the classroom. They combine theoretical and research-based knowledge with practical hands-on experience. 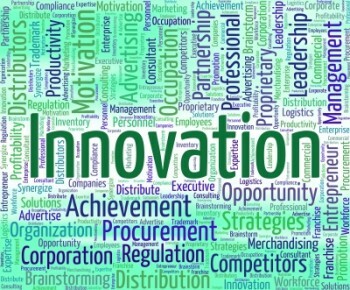 “Professionals in every discipline know that innovation is key to their organization’s success, though few have the requisite understanding and expertise to effect innovative changes in an environment that is often change-resistant,” said Bhaskar Pant, executive director of MIT Professional Education. The certificate program consists of a core of innovation-focused courses plus a selection of elective courses with a strong innovation component. Earning the Professional Certificate requires the completion of at least four qualifying courses within two years. Three courses must be from the list of core courses, with the fourth course being the student’s choice of an additional core course, or one of the elective courses. Discover the philosophy, tools, procedures and incentives that your organization can adopt to drive innovation. Tackle your product innovation challenges and explore every step in the design process, from concept to fabrication. Discover innovative technologies that address critical agricultural issues including macro/micro aspects of climate, the application of advanced materials and the use of data and modeling to improve yield. Gain insight into the dynamics of technological innovation by analyzing data sets, exploring theories, and applying both to real-world scenarios. Get hands-on experience with processes commonly used to rapidly fabricate prototypes, including 3D printing, laser cutting and thermoforming. Examine innovative ways to overcome energy, environmental and mobility challenges in today's high-density cities. Utilize state-of-the-art technology to explore the fundamentals, applications and implications of additive manufacturing of polymers, metals, ceramics, nanocomposites and biomaterials. Gain a greater understanding of computational imaging, novel imaging platforms and computational techniques through a mix of theory and practical applications. The deadline for applications is April 30, 2016. All courses take place in June, July and August 2016 on MIT's campus. The professional certificate program application fee is $275 (non-refundable). Each registered course will be paid at the per-course rate. Visit the Short Programs webpage for individual course information. For additional details on the certificate program or how to apply, visit the MIT Professional Education website.